Pay Per Click has an instant impact and gives your brand targeted reach as a result of first page exposure on Google search. Our campaign strategies are designed to meet the needs of our clients and their markets. We provide up-to-date, Pay Per Click services that include: Paid Search Ads, Video Ads, Display Ads, Remarketing and Social Media Ads. We deliver results that help our clients achieve their marketing goals. Furthermore, we manage our clients’ PPC accounts on a daily basis, monitor bid prices, split test Ad Copy and manage budgets to ensure optimisation of ROI. 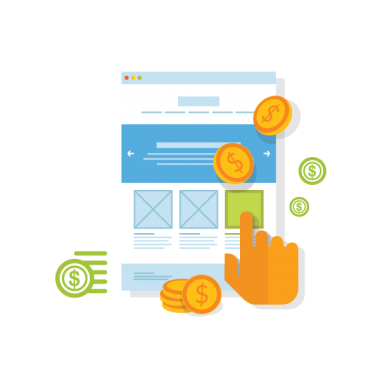 We deliver outstanding results as we provide a measured approach which includes a detailed overview of our client's business and expectations from Pay Per Click Campaigns. Earn a positive ROI through our PPC search advertising. Target spend wisely using the most cost effective form of online advertising. Turn your valuable ‘potential customers’ into ‘loyal customers’. Our team of professionals will help you re-engage users who have expressed an interest by developing a strategy that will meet all your marketing needs. Need to generate quantifiable awareness and direct response activities for your brand or product? We’ll develop a social advertising strategy aimed to meet KPIs and your targets. We are experts in online advertising. Our team is ready to help you get the competitive advantage by creating video adverts that will increase engagement your brand’s presence on YouTube, currently Australia's 2nd largest search engine. Leave the implementation of your marketing strategy with the experts. Track My Calls provide expert digital marketing solutions including linking Call Tracking in with your website analytics.